Read about - Flying Fish below. 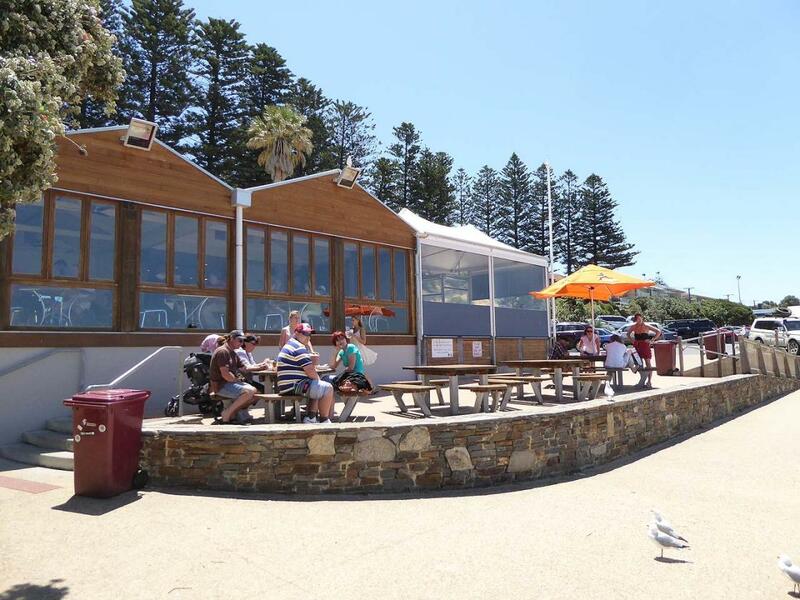 The Flying Fish Restaurant and Cafe is located on the waterfront at Port Elliot in South Australia. It is walking distance from the Port Elliot Caravan and Tourist Park so we decided to head down for lunch and try the seafood at this well known place on Horseshoe Bay. WOW - we had a lovely meal of salt and pepper squid with salad and rice noodles, crumbed garfish with salad, and chips served in a paper cone. The service was great from very friendly staff and the food came out quickly – what more could you ask for. The Flying Fish has a restaurant area (enclosed), and casual dining area (covered verandah) overlooking the bay or you can just order takeaway. There are plenty of picnic tables in front of the Flying Fish or in the park nearby to enjoy your delicious meal. This restaurant/cafe is open seven days a week for breakfast and lunch and dinner is served on Friday and Saturday evenings. RvTrips recommend that you call in for a meal when visiting Port Elliott or nearby Victor Harbor. have you been to Flying Fish? Explore Flying Fish - Port Elliot with RvTrips and find out where to stay, what to do and what to see. Helping caravan, motorhome and camper owners have a great holiday.